Sandton Convention Centre is delighted to host the very first Bollywood Extravaganza in Sandton from 2 to 4 December, which promises to dazzle not only Bollywood aficionados, but anyone who is intrigued by this global cinematic phenomenon. A three day cultural extravaganza hosted at venues throughout Sandton Convention Centre will celebrate all Bollywood encompasses under one roof. The weekend kicks off with the shopper’s delight, Mela (taking place over the 3 days). On Friday, 2nd December, top Indian fashion designers – including Vikram Phadnis, Joy Mitra, Krishna Mehtra and Pawan & Pranav - will showcase their latest collections in a fashion extravaganza along with the Blu Blood Bollywood Variety Show. Comedy lovers can look forward to a stellar line-up on Saturday, 3rd December, with the very best of South Africa’s Indian comedians in Kings & Queens of Comedy And All’. The event culminates on Sunday, 4th December when two megastars in the Bollywood music industry, Sonu Nigam and Atif Aslam, share a stage for the first time on African soil. 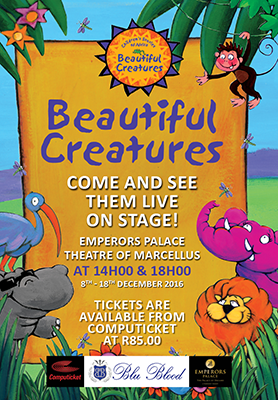 Tickets are currently available from Computicket and Shoprite Checkers outlets. Tickets range from R250 to R5000 with room packages at Tsogo Sun’s range of hotels being made available. Visit www.blublood.com for the full programme of events. Silverstar, renowned for being the number one entertainment destination in the West Rand, has welcomed our favourite season in spectacular style with the Celebrate Summer Promotion. Running from Monday, 7 November to Saturday, 31 December 2016, ending 2016 on the ultimate high. Silverstar gives YOU a chance to win a share of over R2 million in CASH, CARS and FreePlay. To stand a chance to walk away with fantastic prizes, a brand-new Jeep Wrangler worth R450 000 being just one of the exciting winnings up for grabs, all you have to do is play Slots or Tables with your Silverstar Rewards card during the promotion period. You need to accumulate points to earn tickets to enter the CASH draws – all points earned, will be valid for the entire duration that the Celebrate Summer promotion is running. The CAR draws will take place on Saturday, 26 November and Saturday, 31 December 2016, with the finalists draw starting at 20h00. The CASH draws will take place on Wednesday, 30 November and Wednesday, 28 December, with the finalist draws taking place at 19h00 for Gold and Platinum cardholders, and 20h00 for Black cardholders. “Silverstar Casino is dedicated to providing the most exciting gaming experience for our guests and the Celebrate Summer promotion is a perfect example of our determination to achieve that experience of a life time, during this promotion we bring you activations like The Beach festival, Carols by Candlelight on the Beach, great Food offers and much more Summer festivities, ensuring fun is had by the whole family” said Sanele Ntombela, Silverstar Casino’s Marketing Manager. With Silverstar, you can definitely ‘Celebrate Summer’ in all its fullness. 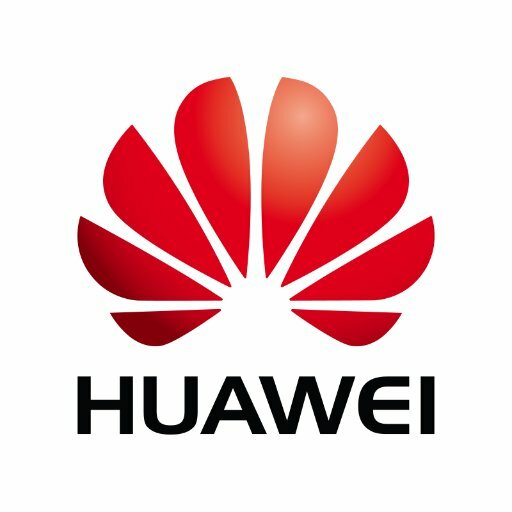 At AfricaCom 2016, Huawei launched its new hybrid video solution ‘Huawei Envision’, which is designed to assist carriers in developing video as a fundamental service and helps them achieve success. Huawei’s Video Cloud solution enables our customers in Africa to develop video services in the quickest manner possible, deliver supreme user experience and all at a cost that was never possible before. Huawei Video Cloud helps customers to quickly bring video services online, reduces the TTM to one week, reduces infrastructure cost by 90%, and ensures the best user experience and data security. Video Cloud supports multiple service scenarios, including cloud live broadcast, cloud VOD, cloud TV games, celebrity or games live broadcast, multi-screen interaction, remote health care, and online education, reducing the costs of on-premise video platform and Content Delivery Network infrastructure construction, assisting customers in quick commercial use of video services, promoting industry cooperation and building a win-win video ecosystem based on increasingly open video capabilities. According to figures presented by Huawei, video is already the dominant content type on many mobile networks, accounting for more than 50 percent of all traffic. In the coming years, that figure is expected to grow to more than 80 percent as video becomes a more integral part of life with the rise of VR and mobile video. Huawei aims to become the best video solution provider in Africa, lead new video ecosystem construction and assist customers in achieving success. With Huawei Envision Cloud business solution, based on Huawei’s advanced Video Envision Solution, Huawei assists African operators to enable quick video service launch and business success through cloud services and massive high quality video content. Based on this solution, Huawei launched the Comedy+ with MTN in Nigeria and the Baze-live live show service with partners in Kenya in October 2016 and Huawei is planning to expand these services to the whole of Africa in the very near future. Blu Blood in association with 947, IBV, Dabur Miswak, The Raj, Xclusive Décor, Tsogo Sun, Rising Sun and Laudium Sun presents 'Kings & Queens of Comedy And All’ exclusive to the BLU BLOOD BOLLYWOOD EXPERIENCE. 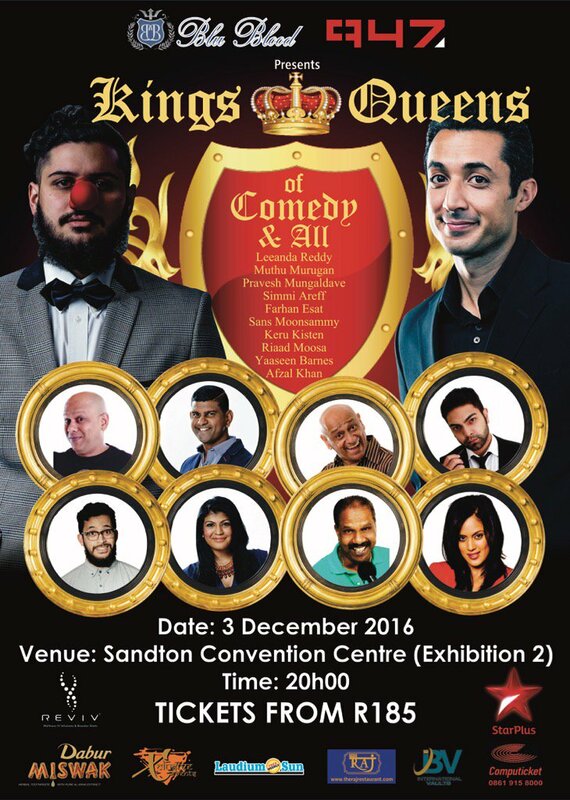 With a royal flush of South Africa’s best Indian comedy giants, Kings & Queens of Comedy And All’ is guaranteed to be a show of hysterical proportions, taking place at the Sandton Convention Centre on Saturday, 3rd December 2016. Comedy lovers can look forward to a stellar, royal line-up with some of South Africa’s brightest and funniest stand-up Indian comedians as they take laughter and hilarity to the next level. The royal court includes Riaad Moosa (host for the evening’s festivities), Muthu Murugan, Pravesh Mungaldave, Simmi Areff, Farhan Esat, Sans Moonsammy, Yaseen Barnes and Afzal Khan with the belles of the ball Leeanda Reddy and Keru Kisten taking their place as the Queens of the stage. Kings & Queens of Comedy And All’ forms part of the Blu Blood Bollywood Experience which is a three day cultural extravaganza and celebrates everything Bollywood under one roof. Dance along with street performers; be swept away by the explosion of colour and energy. From the best musical talents to top class comedy; the finest local and international fashion to the tastes and smells of the East, there will be so much on offer. “The Blu Blood Bollywood Experience is an annual event that South African and African Indian communities look forward to. It is a lifestyle and entertainment spectacular. 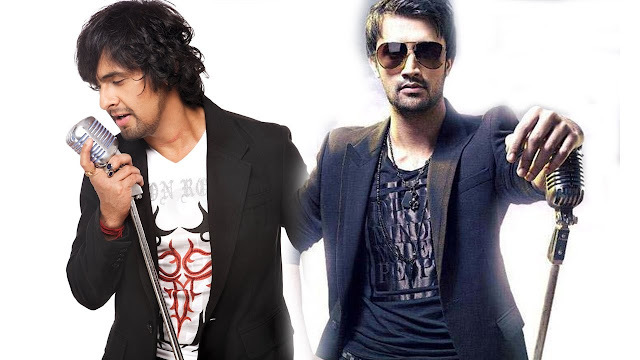 It enlists local and international entertainers, celebrities and the likes to culminate the year in a Bollywood extravaganza from the Mela (shopping festival), fashion shows, SA’s comedy greats, the best in Indian cuisine and the finale being the biggest names in the Bollywood industry,” comments Blu Blood CEO, Shaaista Khan Osman. “Sandton is going to be ‘Bollyfied’ this December, this is one memorable event certainly not to be missed!” adds Blu Blood MD, Osman Osman. 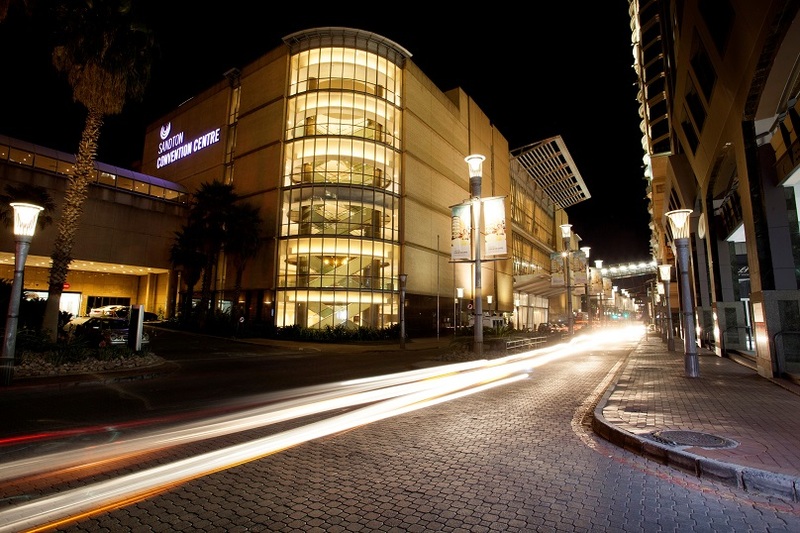 Kings & Queens of Comedy And All’ at Exhibition 2 at the Sandton Convention Centre on Saturday, 3rd December. Tickets available through Computicket online http://online.computicket.com/web/event/kings_and_queens_of_comedy_all/1079278003/0/75562876 or at Computicket outlets. Doors open at 19h00 and the show starts at 20h00. Simba, the King of Snacks has introduced delicious Kettle Popped Popcorn to South African snackers, adding even more tasty snacking options that Roarrr with Flavour to the current Simba snack family. Simba Kettle Popped Popcorn, which offers extra crunch for enjoyment, is available in two scrumptious flavours that appeal to South African tastes: White Cheddar Flavoured Popcorn and Sweet & Spicy Chutney Flavoured Popcorn. 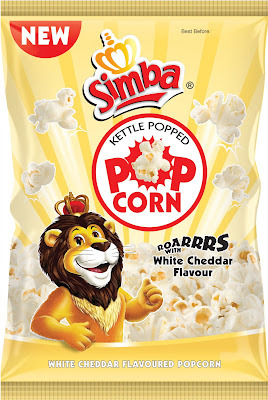 These are packed with all the quality, freshness and great taste that fans have come to expect from Simba, new Kettle Popped Popcorn is made using a traditional kettle-popped process, and offers an ideal snacking opportunity for snackers seeking a different yet satisfying, flavour-filled snack. Simba has been a part of South African family fun times and memories for almost 60 years. 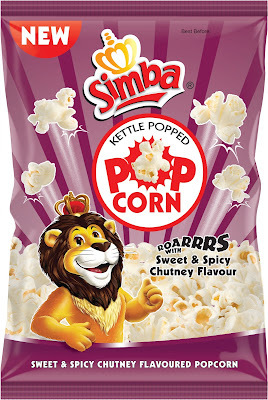 Whether you are settling into a Sunday or family night movie, weekend braai, picnic at the park with a date or simply want to savour as a midday snack, share a pack of Simba Kettle Popped Popcorn for a truly enjoyable treat of choice. 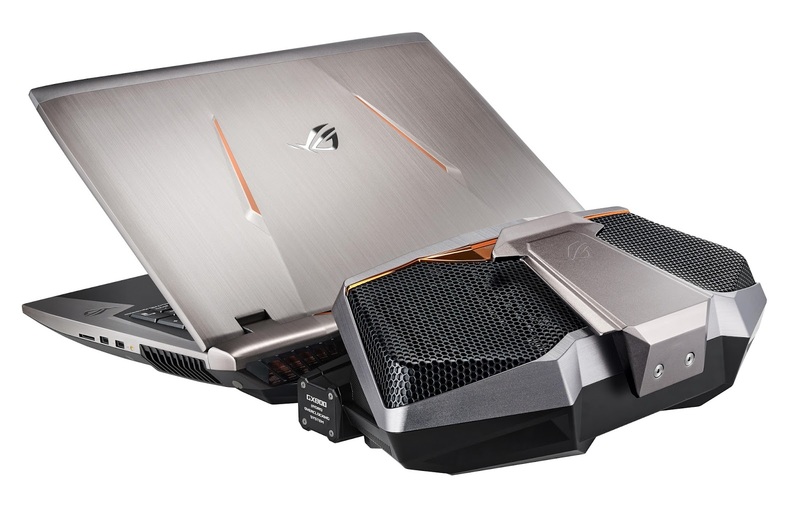 ASUS Republic of Gamers (ROG) announced GX800, a gaming laptop with the latest NVIDIA® GeForce® GTX 1080 SLI graphics and an advanced version of the Hydro Overclocking System liquid-cooling module. 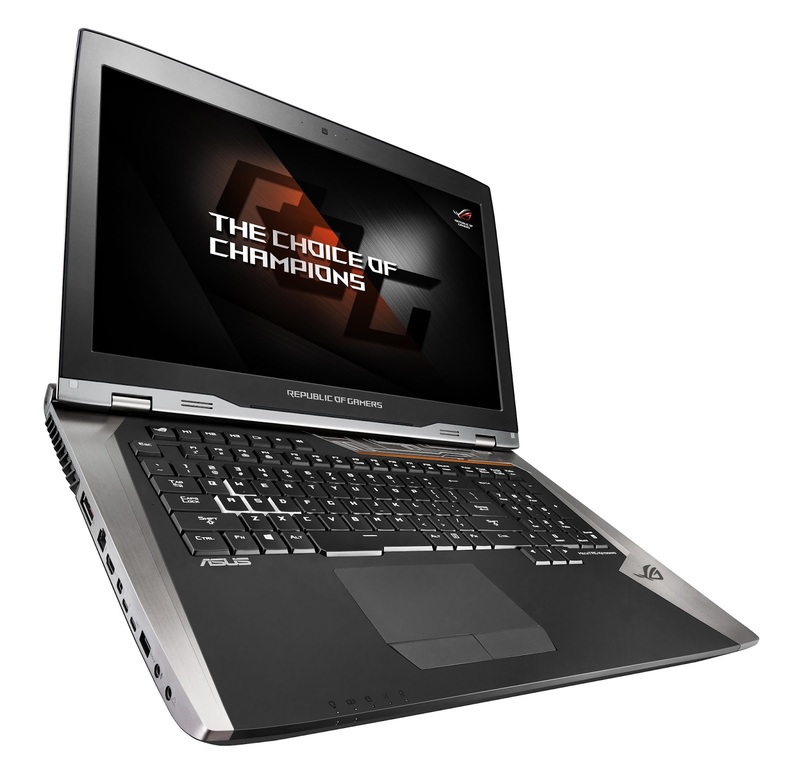 The 18-inch GX800 is the first gaming laptop designed to deliver real 4K UHD gameplay. 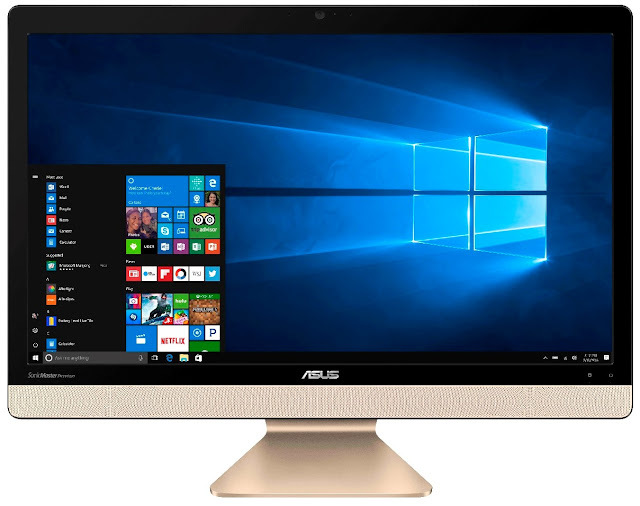 It features NVIDIA G-SYNC™ technology and supports leading virtual-reality (VR) headsets for super-smooth and stutter-free VR gaming. 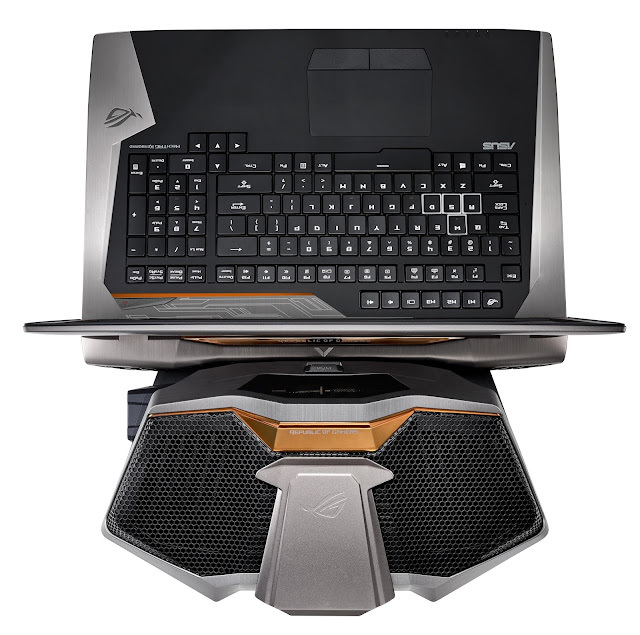 In addition, GX800 features the Mechanical Tactile Advanced Gaming (MechTAG) keyboard with programmable ROG Aura RGB LED effects for individual keys. ROG GX800’s NVIDIA GeForce GTX 1080 SLI graphics provides super-fast, silky-smooth gameplay and detailed gaming environments. GX800 is paired with an advanced version of its predecessor’s Hydro Overclocking System to give it the cooling performance required for extreme overclocking of the processor and graphics cards. The Hydro Overclocking System helps boost GX800 clock frequencies from 3.2GHz to 4.2GHz. When overclocked, GX800 achieves a 3DMark Fire Strike Ultra score of 10395. A ROG-proprietary connection between the Hydro Overclocking System and GX800 ensures coolant flows smoothly between the two without leaking. The coolant is pumped and circulated around the processor and graphics card, before it returns to the cooling module where two radiators help to dissipate heat. To cope with these demands, GX800 has two 330W power adapters. 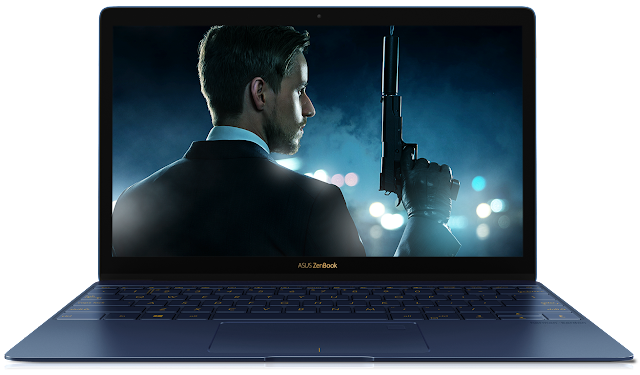 The 18-inch ROG GX800 is the world’s first gaming laptop to provide real 4K UHD gameplay for realistic, highly-detailed gaming worlds with faster and smoother frame rates. 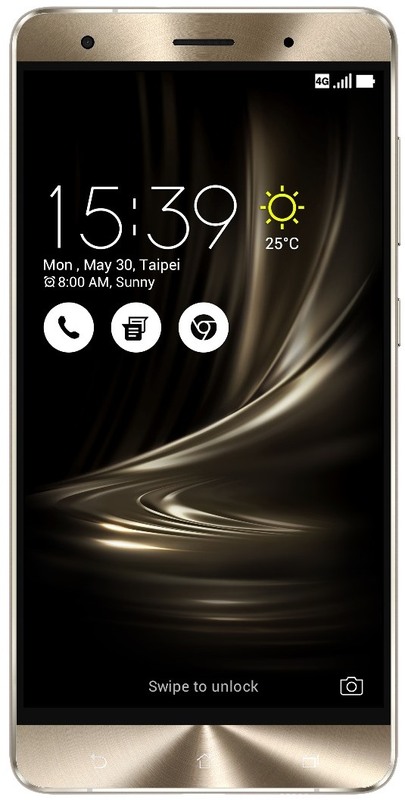 GX800 can run games at ‘Ultra’ graphics settings at frame rates averaging over 60fps. In addition, the combination of NVIDIA SLI graphics and the Hydro Overclocking System ensures GX800 has the performance to deliver the very best VR gaming experiences. GX800 provides super-smooth, stutter-free VR visuals with frame rates exceeding 90fps. 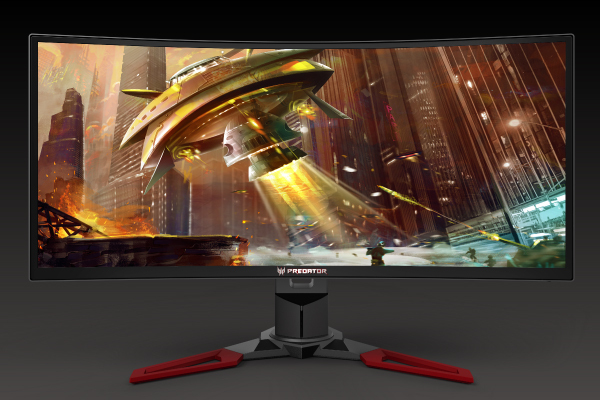 Featuring plug-and-play compatibility with leading VR headsets, GX800 is designed for immersive VR gaming. The MechTAG keyboard has mechanical switches for positive clicks and 2.5mm of key travel for accurate, tactile keystrokes. It incorporates 100 percent anti-ghosting with 30-key rollover to ensure that multi-keystroke commands are correctly logged — even when 30 keys are pressed simultaneously. In addition, ROG Aura RGB LED effects can be customized for each key, allowing gamers to configure different effects and colours for individual keys. "Star Wars: The Freemaker Adventures" is an all-new animated television series debuted on 21 November, at 19:00 on Disney XD (DStv channel 304). The fun-filled adventure comedy series introduces all-new heroes and villains in exciting adventures with many familiar Star Wars characters. 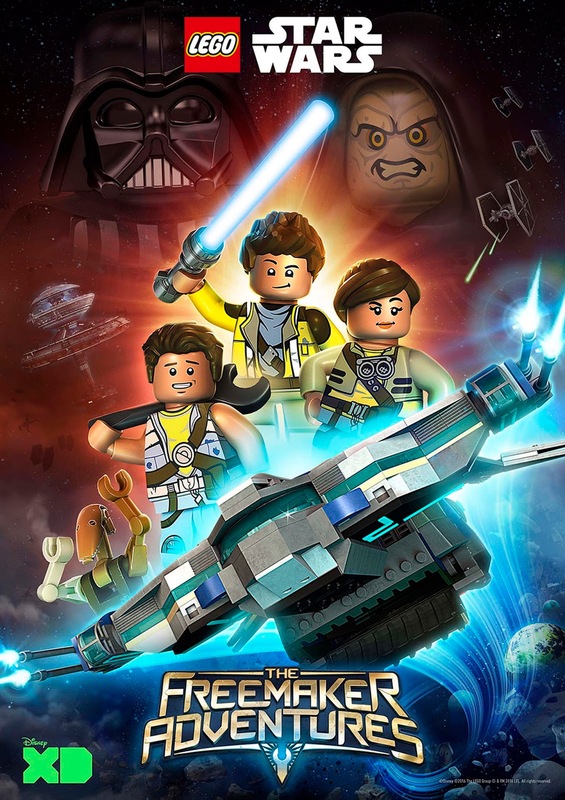 Told in the whimsically-charged style that audiences have come to expect from LEGO Star Wars entertainment, the series stars the Freemakers, a family of scavengers who build and sell starships from the scoured debris of space battles strewn throughout the galaxy. When their youngest discovers a natural connection with the Force through an ancient artifact - the Kyber Saber – his world is turned upside down, and he and his family are thrown into an epic struggle against the Empire to restore peace and freedom to the galaxy. Throughout their adventures, the Freemakers explore new worlds, meet new and familiar characters, and learn the true value of what it means to be a family. "We are very excited to launch for the first time a TV series with Disney XD," said Jill Wilfert, vice president, licensing & entertainment at the LEGO Group. "The creative team behind 'The Freemaker Adventures' is extremely talented, and the series is a great testament to our longstanding and successful partnership with Lucasfilm and Disney. The show masterfully combines the rich heritage of storytelling, great characters, action and adventure in a galaxy far, far away with the creativity, imagination and humor that only LEGO Star Wars can deliver. We are sure fans young and old are going to love the show." "With 'The Freemaker Adventures' we are thrilled to bring all new stories to life that could only be realized in the LEGO Star Wars universe," said Carrie Beck, vice president, animation development at Lucasfilm. "We are embarking on an unprecedented collaboration that will allow us to extend the narrative experience of the Star Wars saga with the same playful spirit that’s always made LEGO Star Wars so much fun to watch. We are so thankful to have such great partners in the LEGO Group, Disney XD and series developers Bill Motz and Bob Roth." "Star Wars: The Freemaker Adventures" is a production of Wil Film, the LEGO Group and Lucasfilm. Developed for television by Bill Motz and Bob Roth ("Penguins of Madagascar"), they join Torsten Jacobson ("LEGO Star Wars: Droid Tales") and Jill Wilfert ("The LEGO Movie") as executive producers alongside producers Carrie Beck ("Star Wars Rebels"), Jason Cosler ("LEGO Marvel Super Heroes: Avengers Reassembled! "), Jake Blais and John McCormack. 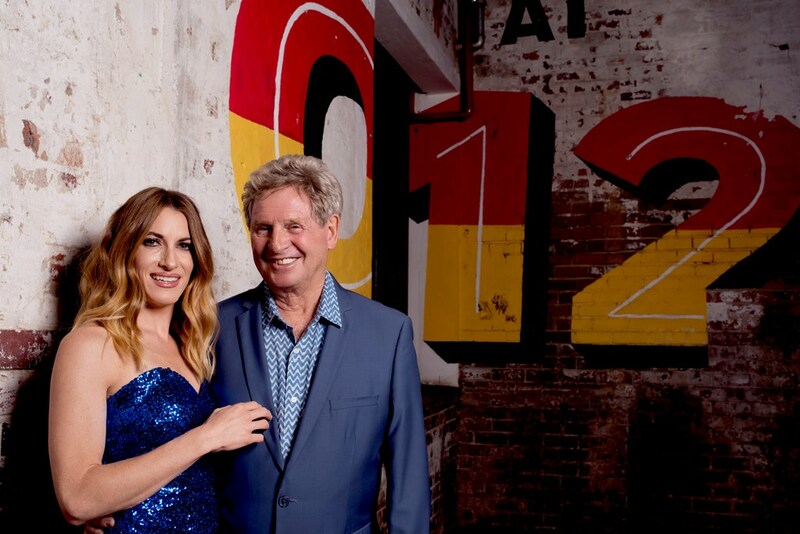 Petite and beautiful, YAEL so impressed Richard Loring with her crystal-clear, powerful classically- trained voice that he took her on as his first protégé, mentoring her over 18 months to produce her debut album, ‘Fly Away’, which was launched on 13 November. The event, held at Tshwane’s stylish new inner-city event venue, ‘O12 Central’, featured YAEL, backed by the Soweto Spiritual Singers in a ‘Richard Loring’ Production. An exhibition of up-and-coming urban artists and African craft beer tasting added to the ‘wrap-around’ experience. “In my 50 years in the entertainment industry, producing a nurturing talent, I have rarely found a voice so pure and powerful,” says Richard Loring, a Multi Lifetime Achievement Awardee and he himself an award-winning performer on stage, film, TV, cabaret and as a recording artist – in London’s West End and in South Africa. Loring was particularly captivated by YAEL’s international star quality when he heard her performing ‘crossover’ numbers from classical to pop. He was inspired to draw on his experience to produce a world-class performer in the style of popular ‘crossover’ stars like Katherine Jenkins, Andrea Bocelli, Hayley Westenra and Sarah Brightman, who have made classical performances accessible to the global market. YAEL’s own story is particularly poignant. 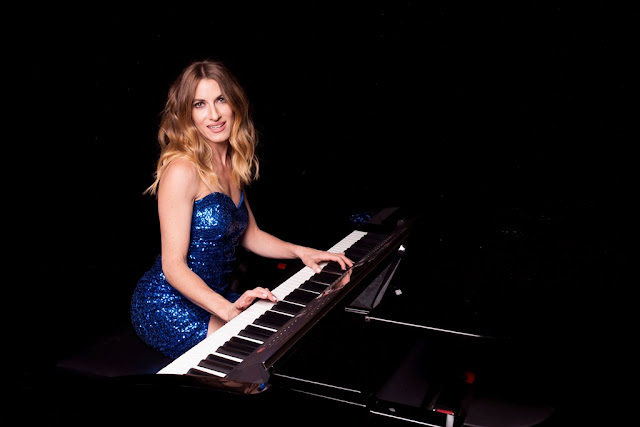 Classically trained in piano and voice, YAEL had dreamed of following a career in music. Love came early and she married Dave Benjamin and became mother to two beautiful children. For many women this would have been the end of their dream but, determined and committed, YAEL, encouraged by her family, decided to fund her own album, to ‘Fly Away’ and to follow her dream. Also with a dream, Jeffrey Wapnick, MD of the property giant, City Property, is spearheading the revival of the Tshwane city centre. 012central, in the hub of Wapnick’s vision of creating an artistic precinct in the city, has been attractively revived to create an expansive atmospheric multi-functional venue – highly desirable for event organisers especially for staging special and, specifically, culturally significant events. Wapnick says, “012central is the perfect place for discovering something new. It is a place of renewal, of hope and functions on a raw, urban plane dotted with art and greenery. There is no doubt of the sense of scale of 012central, and its uniqueness is the blank canvas it offers event hosts to create something new, something bold, to cross divides. YAEL performs in diverse styles - from operatic arias, contemporary to rock - and her repertoire extends across many languages – English, French, Italian, Spanish, German, Hebrew, Yiddish and Zulu. 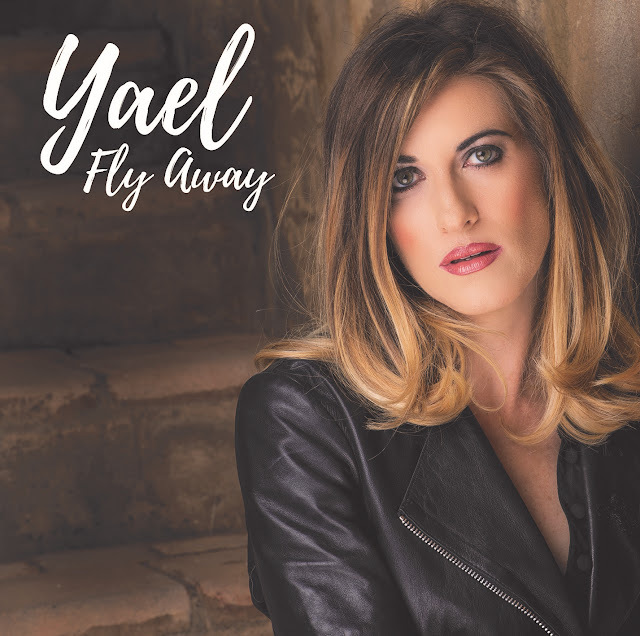 In this album, Fly Away, YAEL effortlessly transcends boundaries of culture, race, language and genre through African, European, pop, folk and contemporary music, which blend into one, rich experience. Tracks include those originally written and performed by David Foster, Madonna, Brian May, Mick Jagger, Jon Bon Jovi, Joy, and Albert Hammond. Illustrating the range and languages featured are tracks such as Canto Alla Vita; What are you doing the rest of your life; One day I’ll fly away; Love is; I’ve dreamed of you; Viva La Vida; and Eres Tu, a tour de force finale. 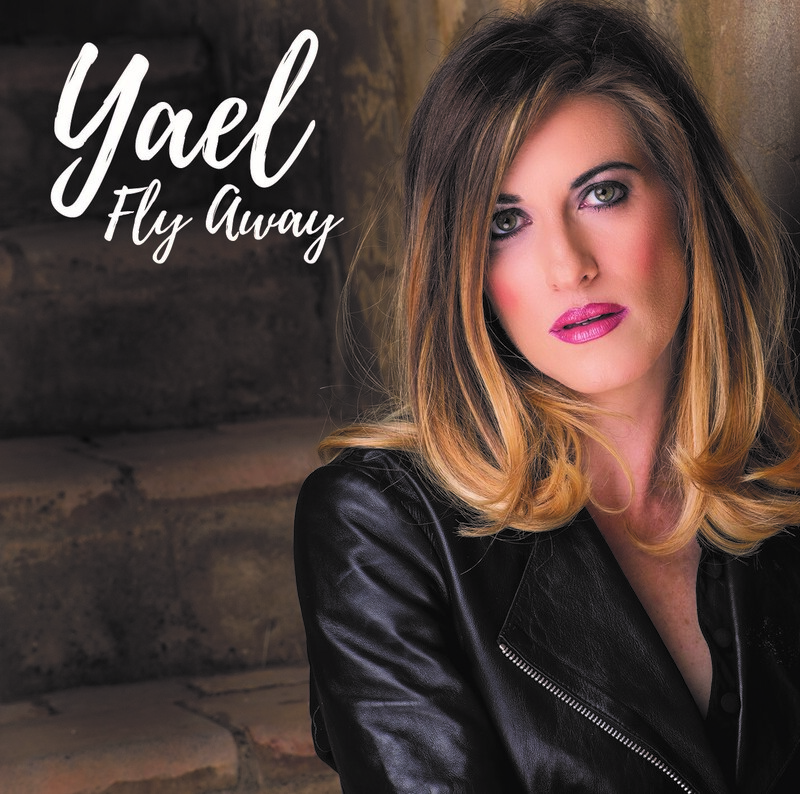 For further information on YAEL and ‘Fly Away’ go to www.yael.co.za or contact: Richard Loring on richardl@mweb.co.za or loring@mweb.co.za or on 27(0)83 325 7346. YAEL’s album is available on iTunes, Shazam, Spotify, Deezer and Google Play. For venue bookings at 012Central, please contact Sara Grindley-Ferris on 079 733 1689 or go to www.012central.co.za.